After the tumultuous end to last season, the Dallas Stars aim to begin cultivating a winning franchise in the post-Richards era. Before getting into any 2011-2012 predictions, here are the major events and changes of the Dallas Stars offseason. Brad Richards is no longer a Star. Knowing that Brad Richards would potentially become a free agent after the season, the Dallas Stars gambled on not trading him at the trade deadline. Perhaps Richards was unwilling to waive his no-trade clause at that time, but the Stars should have dealt the center at the deadline (especially because Richards appeared anxious about resigning with the team). Unless a team has legitimate Stanley Cup potential, they should ensure getting something in return for their top players who may walk at season’s end. Even if the Stars had garnered the 8th seed, winning the Cup last season would have been extremely difficult. In hindsight, the Stars should have dealt Richards, as he declined resigning with the team and chose to ink a deal with the New York Rangers for nine years and $60 million. 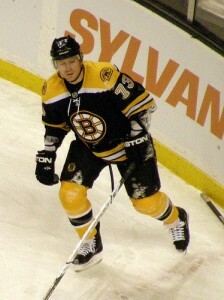 Richards stated his reason for leaving was the Star’s inability to find an owner. Regardless of the reason, Dallas is left reassembling the pieces without Richards. The Boston Bruins winning the Stanley Cup with no legitimate offensive superstar shows that depth and a legitimate winning system can go the distance. After losing Richards in free agency, the Stars, with a diminished payroll, sought to bolster their ranks. Although the Stars made no headline signings in free agency, management gathered a motley crew of players. recorded 17 points in the Bruins’ Stanley Cup run last season–with six points in each of the final two series. Ryder also has three goals in the preseason, including one OT winner. Despite missing last season and only playing in 37 games the year prior, Sheldon Souray offers the Dallas blue line more firepower with Stephane Robidas and Alex Golikoski. Souray scored 23 goals in 2008-2009 and 26 way back in 2006-2007. Of course, Souray arrives with a certain risk factor, but Souray has potential to be a physical force in the defensive end as well as a power play weapon with his strong shot. 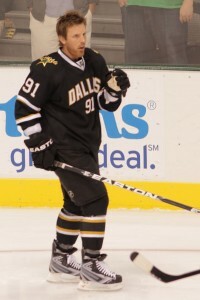 The Stars also signed forward Radek Dvorak. Similar to Souray and Ryder, Dvorak has been around the NHL for some time. Although none of these players hold the speed they once had, the experience they bring blends well with the Stars talented young core. The other big news from the offseason is that Dallas appears to have a new owner in place. The Stars are currently going through an agreed to process that will send the team through bankruptcy and ultimately to a bidding procedure that will allow Canadian businessman Tom Gaglardi to purchase the team. This is great news for a franchise that has been dealing with suppressed funds and a rancorous atmosphere for nearly two years. The process for allowing Gaglardi to purchase the team should take another six weeks to two months. Before the start of the season, ESPN’s Power Rankings list the Stars at a lowly No. 27. Similar to last season, the analysts aren’t too positive for the Stars outlook. Nevertheless, despite losing Richards, the Stars are an all-around stronger team with a solid core and improved depth. Look for the younger players, such as Jamie Benn and Loui Eriksson, to only become more of a threat this season. Season prediction: Stars take the 7th seed in the West and make the playoffs for the first time since the 2007-2008 season.